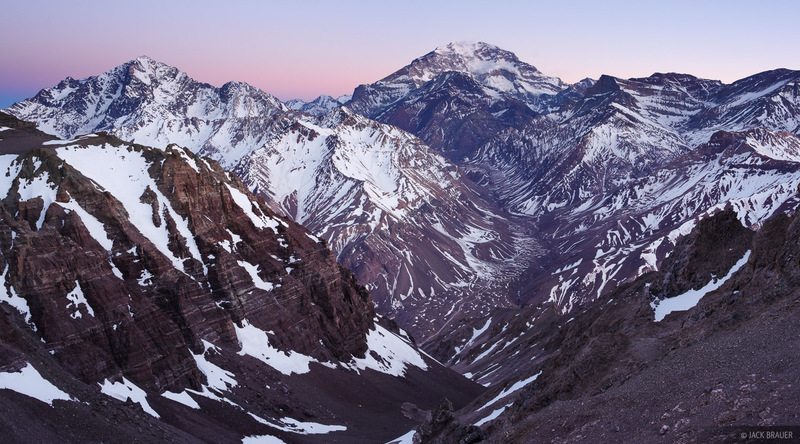 Aconcagua and the Rio Horcones valley at dawn. At a height of 6962m (22,841 ft.) Aconcagua is the highest mountain in the western hemisphere. Photo © copyright by Jack Brauer.